You’re laying on your beach towel or blanket on the beach, and a couple of kids run passed you kicking sand all over you & your blanket- this has happened to EVERYONE! 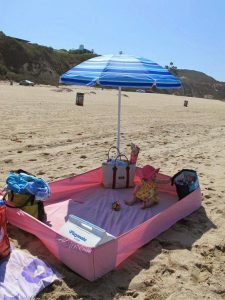 Bring a fitted sheet and use your beach bags as the “anchors” to avoid this ever happening again! Pretty cool, right?! Bringing the kids to the beach? 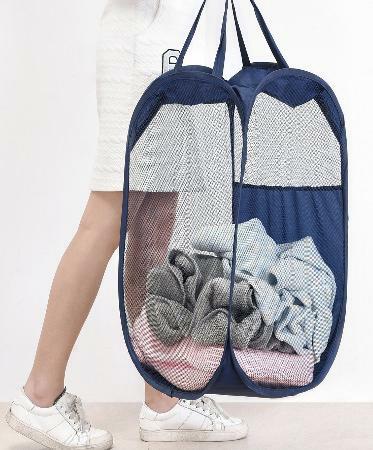 You can get one of these nifty mesh laundry baskets at any dollar store, or grocery store! LEAVE the sand at the BEACH! How cool is this?! Take this to the beach, make it at home for the kids, or even for a cute date idea. 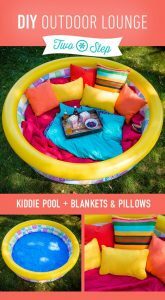 A round blow up kiddie pool, a few arm fulls of pillows and a comfy blanket on the bottom. Boom! Fill your jars with water, up to the threads. Drop in your slices of lemon & lime. Sprinkles your basil leaves, and 10-15 drops of lemongrass essential oil. 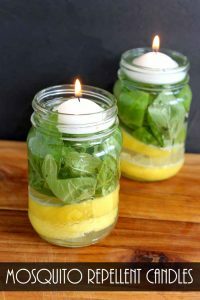 Drop your floating candles in and enjoy this chemical free alternative! This one is genius! Use your empty milk jug and fill it with water. All you’ll need then is a hiking/work headlamp. 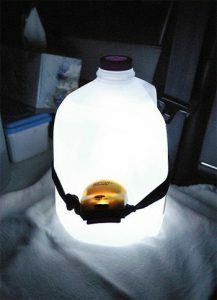 Simply put the headlamp over the jug and face the light inward. It’ll make a soft glow for camping! Grab Raw Cocoa, and mix it with your favorite lotion…mix as much as you’d like depending on how dark you want to look! 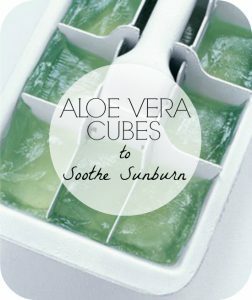 Pinterest is full of these demos! Transform your boring T into something summery and cute. Okay I about fell over when I saw this one! You should still be using the Label.M Sea Salt Spray – just in conjunction to this awesome hack! Depending on the thickness of your hair, make a few braids, grab your flat iron and BOOM! 10. 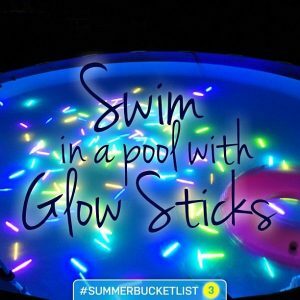 Fun Glowing Pool Party! This could work for the pool, hot tub, bath tub, or even tie them to your legs and arms while night swimming in the lake! Make sure you buy the glow sticks that have the liquid inside, not the skinny ones you break and make headbands, bracelets, etc out of. Otherwise they’ll just float.